Looking to lose weight and fat in the new year? Aerobic exercise may be your best bet. Aerobic exercise -- which includes sweat-inducing activities like walking, running and swimming -- has been known to help people reach their target weight. However, resistance training, which includes weight lifting to build muscle mass, is normally more advised because it has the ability to raise a person's resting metabolic rate -- the amount of calories you burn while resting -- and improve glucose control. But, resistance training's effects on fat loss have not been proven. "Balancing time commitments against health benefits, our study suggests that aerobic exercise is the best option for reducing fat mass and body mass," Cris A. Slentz, a Duke exercise physiologist, said in a press release. "It's not that resistance training isn't good for you; it's just not very good at burning fat." For the study, researchers looked at 234 overweight or obese people. Subjects either had to do resistance training (three sets of weight lifting for three days a week, eight to 12 repetitions per set), aerobic training (about 12 miles a week) or aerobic and resistance training (both requirements). Exercise sessions were supervised to make sure everyone was doing what they were supposed to. Researchers then used data from 119 people who successfully completed the exercise regimen. The aerobic exercise group worked out an average of 133 minutes a week and lost weight, while the resistance group worked out about 180 minutes a week without dropping pounds. The combination group, while having to spend twice the amount of time to complete both routines, had a mixed result. They did not lose weight and fat mass, but they did have the biggest reduction in waist circumference probably due to the time they spent working out. Resting metabolic rate was not measured. But, since the scientists observed no changes in weight or fat loss, the common assumption that resistance training may increase the resting metabolic rate may be moot. "No one type of exercise will be best for every health benefit," author Leslie H. Willis, MS, an exercise physiologist at Duke Medicine, said in a press release. "However, it might be time to reconsider the conventional wisdom that resistance training alone can induce changes in body mass or fat mass due to an increase in metabolism, as our study found no change." However, Dr. Timothy Church, director of preventive medicine research at Pennington Biomedical Research Center in Baton Rouge, La., cautioned to HealthDay that resistance training shouldn't be discounted because people lose muscle mass when they grow older, and stronger muscles can help improve quality of life. 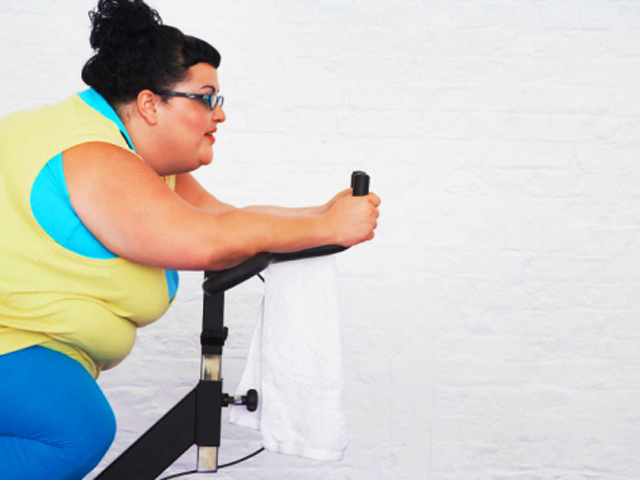 Dr. Melina Jampolis, a physician nutrition specialist and CNN's diet and fitness expert, also warned to CNN that we don't know how effective aerobic exercise is at weight loss in the long run. "If you are short on time and are not dieting, cardio is better for weight loss in the short-term, but we don't know in the long-term. And in my opinion, to maintain weight loss and achieve optimal health, strength training is still very important," said Jampolis. The study appeared Dec. 15 in the Journal of Applied Physiology.